This August 10, 2017, file photo shows an IHOP restaurant in Chicago. When a user tweeted that the initial name change was a joke, Wendy’s responded “of course it was"
About a month after changing its name from IHOP to IHOb as part of a marketing campaign aimed at promoting its new line of hamburgers, the pancake chain is going back to its original name and has changed its Twitter handle accordingly. The change came Monday as the restaurant introduced an upcoming pancake promotion. To celebrate its 60th birthday, IHOP will be offering a short stack of pancakes for 60 cents between 7 a.m. and 7 p.m. on July 17. 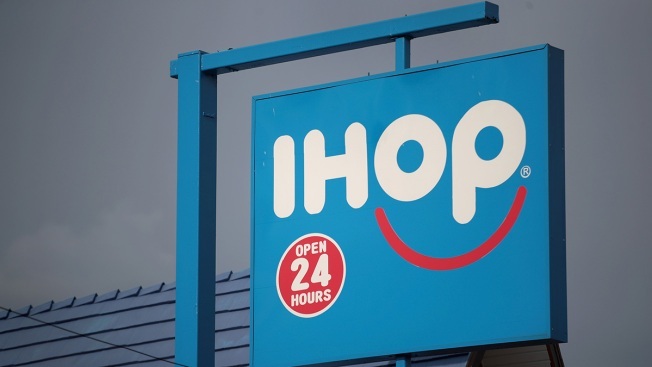 “We’re incredibly proud of the IHOb campaign that was created to announce our new Ultimate Steakburgers – it did exactly what we intended it to do, which was to get people talking about, and thinking differently about, IHOP,” a company spokeswoman said in an email to NBC.